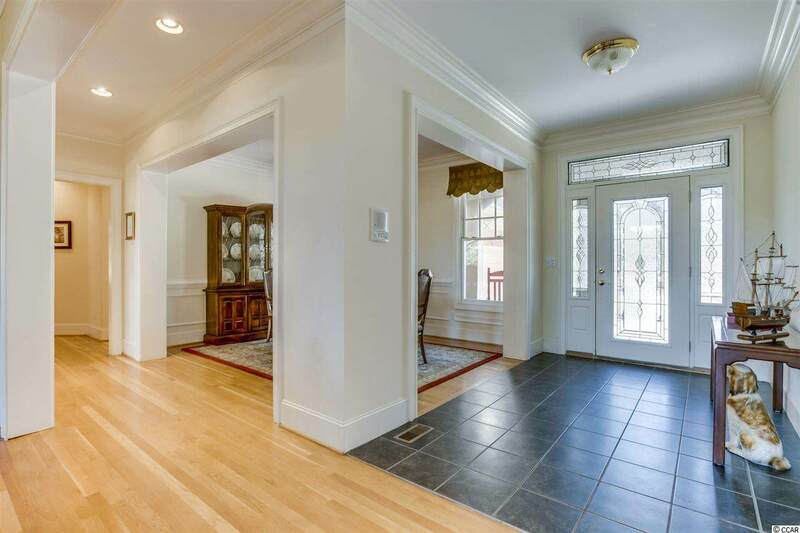 PANORAMIC GOLF COURSE VIEWS FROM THIS 4 BR 5 BA CHARMING BRICK HOME. 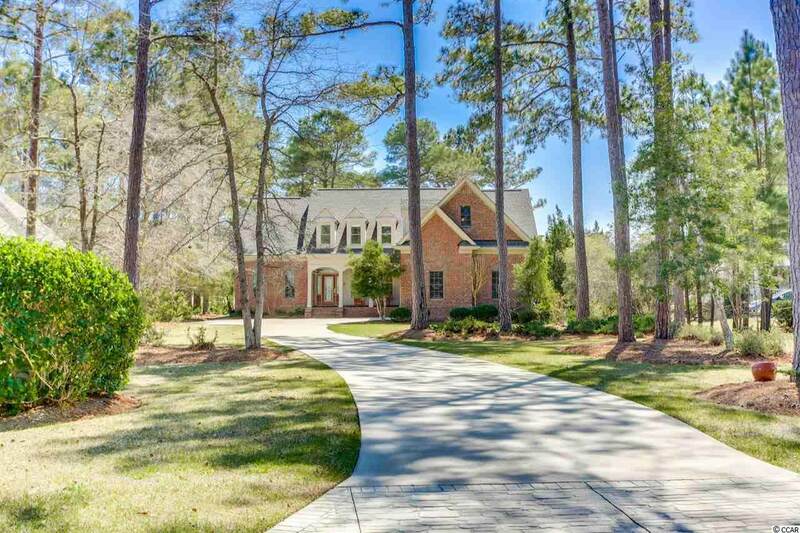 Enter through the long winding paved drive and find this home nestled among tall trees and impressive golf course views. 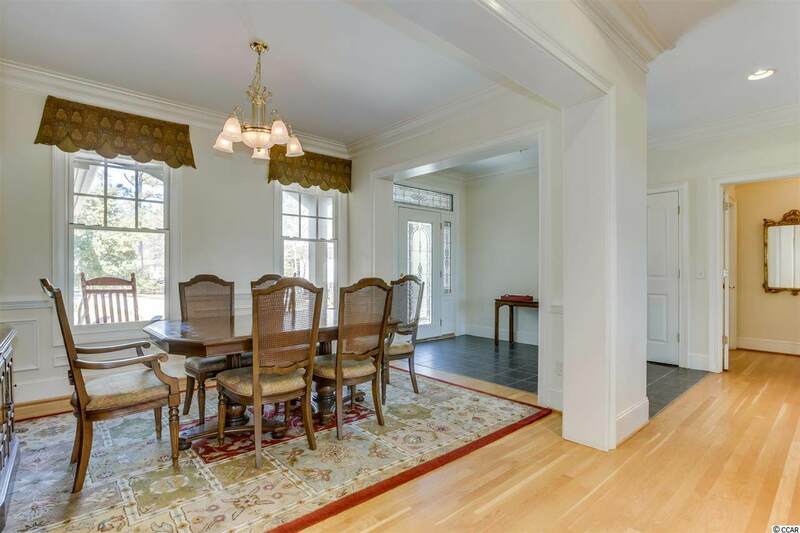 Inside, a two-story family room highlights a corner fireplace with custom built-in bookcase, handsome hardwoods and French doors that open to a gorgeous covered porch overlooking a beautifully manicured landscape. The spacious eat-in kitchen features a wall of windows with an inviting spot for a sitting area ideal for morning coffee, family dining or entertaining. There are plenty of gorgeous natural wood cabinets, solid surface counter space, stainless steel appliances, a center work station and cozy breakfast bar. The oversized master suite highlights a beautiful tray ceiling with hardwoods leading to a splendid bath with walk-in closet, corner shower, large separate vanities, and a jetted tub situated under a romantic eye-catching window. First floor also offers a private guest suite, formal dining, and a huge laundry room. Upstairs, find ideal living quarters for family or guests with two additional bedrooms and a colossal bonus room perfect for additional living space, as a game room, media room, or just to relax. Other features include, two-car side entry garage, plush landscaping and irrigation system. Ocean Ridge is a premiere Brunswick county community with clubhouse, fitness center, pool, tennis, golf, and much more.